Non-members are welcome! Space is limited. RSVP by Friday, Aug. 31. Lunch: Salads, sandwiches and wraps accompanied with by pasta salad, fruit salad, and dessert. Wednesday, Sept. 5, 11:30 a.m. to 1:30 p.m. Location: Colorado Automobile Dearlers Assn., 290 E. Speer Blvd. Special lunch speaker Craig Johnson, author of the Walt Longmire mystery series, the basis for the hit Netflix series Longmire. 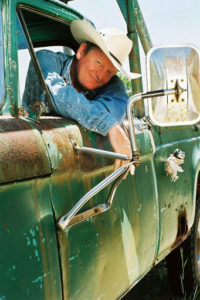 Craig Johnson is the author of the Walt Longmire mystery series, which has garnered popular and critical acclaim. 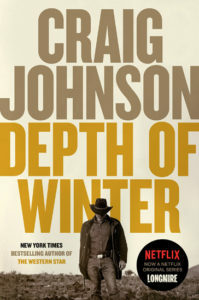 Craig will be on tour for his new novel, Depth of Winter, but is making time for a special talk for Rocky Mountain Mystery Writers of America. The Cold Dish was a Dilys Award finalist and the French edition won Le Prix du Polar Nouvel Observateur/BibliObs. Death Without Company, the Wyoming State Historical Association’s Book of the Year, won France’s Le Prix 813. Another Man’s Moccasins was the Western Writers of America’s Spur Award winner and the Mountains & Plains Independent Booksellers’ Book of the Year, and The Dark Horse, the fifth in the series, was a Publishers Weekly Best Book of the Year. Junkyard Dogs won the Watson Award for a mystery novel with the best sidekick, and Hell Is Empty, selected by Library Journal as the Best Mystery of the Year, was a New York Times best seller, as was As the Crow Flies. The Walt Longmire series is the basis for the hit A&E drama Longmire, starring Robert Taylor, Lou Diamond Phillips, and Katee Sackoff.